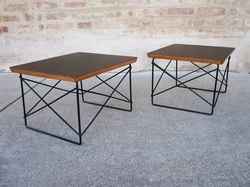 - These are Eames wire base LTR tables. 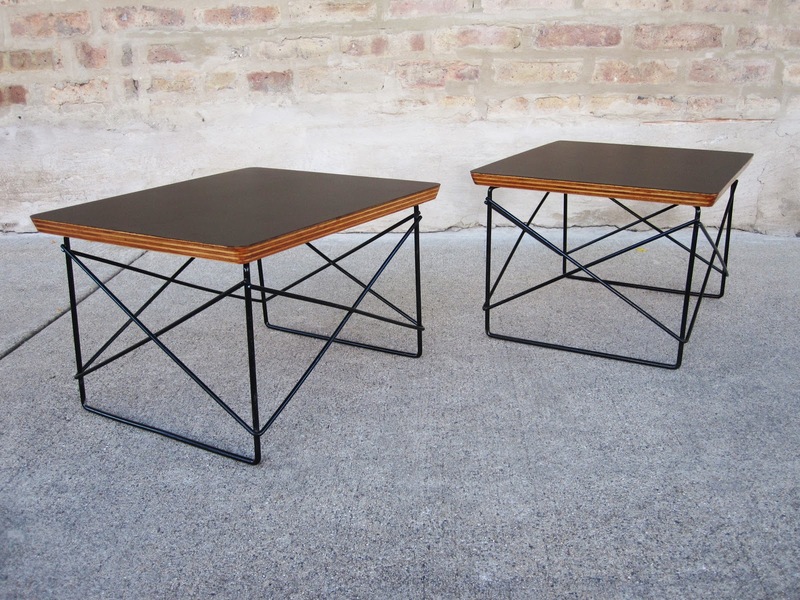 Reminiscent of the eiffel chair, these small tables could be used as a pair of side tables, stacking shelves or organizers. 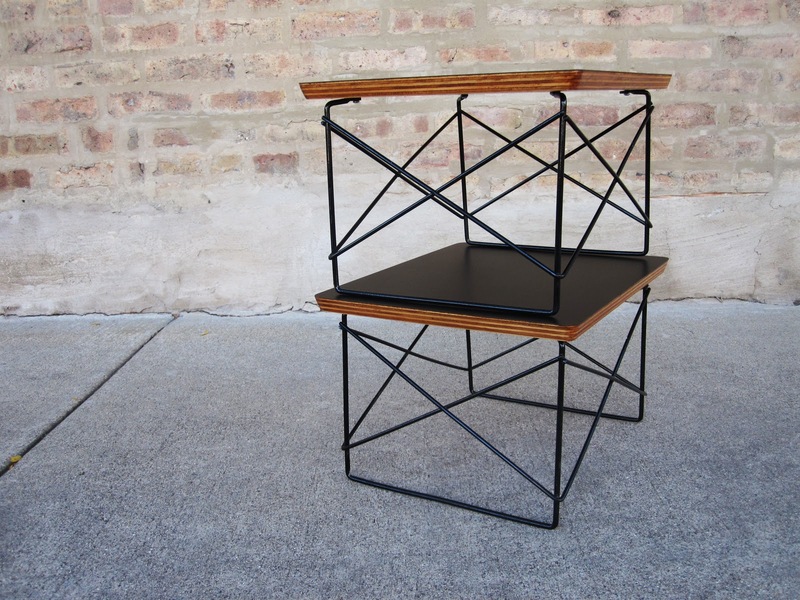 Made of molded plywood and black matte wire bases, everyone loves these! 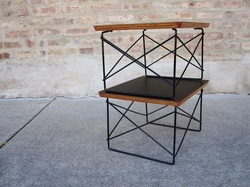 Sweet condition!